FCC Environment and Buckinghamshire County Council have entered into a 30 year partnership to deliver residual waste treatment and transfer infrastructure for the duration of the contract. 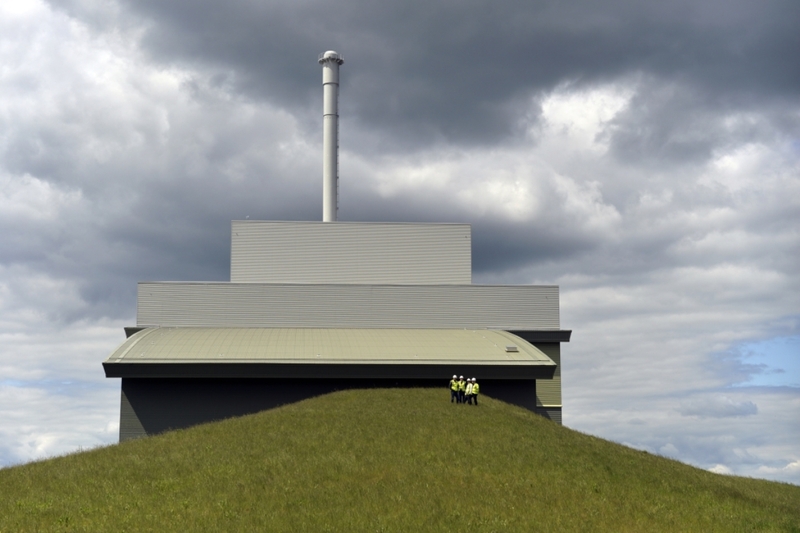 An Energy from Waste (EfW) facility has been developed at Greatmoor in the north of Buckinghamshire which allows up to 345,000 tonnes of non-recyclable waste per year to be diverted from landfill and instead enter a treatment process to generate power. The EfW produces 25 megawatts of electricity, enough to power 40,000 homes. At the same time, it will save the County Council approximately £150 million over the lifetime of the contract through diverting waste from landfill. A Waste Transfer Station has been opened at High Heavens in High Wycombe. Waste Transfer Stations act as a collecting point for local waste which is then transported on to the EfW facility in bulk, reducing waste miles and therefore CO2 emissions. The EfW facility and the transfer station form a significant part of the overall waste infrastructure for Buckinghamshire. The County Council and FCC Environment also work with the four Buckinghamshire District Councils, who make the initial collection of both recyclable and non-recyclable waste from the county’s homes and businesses. The EfW produces 22 megawatts of electricity, enough to power 36,000 homes. FCC Environment is a leading UK waste and resource management company, and is part of a global group with a strong heritage in providing services for communities and business. Our vision is to be the environmental company of choice, delivering change for a sustainable future. Are you interested in a career at Greatmoor or with FCC? Buckinghamshire County Council has been serving the people of Buckinghamshire since 1889, and forms the county’s upper tier of local government, with the four District Councils of Aylesbury Vale, Chiltern, South Bucks and Wycombe forming the lower tier. Both the County and District Councils are made up of democratically accountable councillors who are elected by the people of Buckinghamshire every 4 years and who are supported by a staff of officers. As well as providing many essential services to Buckinghamshire residents such as road maintenance and social care, the County Council has overall responsibility for dealing with the county’s waste. To fulfil this, the County Council works especially closely with the District Councils to ensure an effective waste collection and disposal service, the Districts being responsible for kerbside collection of waste, and the County Council then taking over responsibility for recycling or final disposal.